For your medieval ensemble, it is important to leave no detail unfilled, from your boots to the jewelry you wear. The Horn Necklace with Leather String easily brings rugged style and eye-catching interest to any look. This horn necklace is the perfect accessory for all sorts of characters, whether of Viking, medieval, or fantasy origins. 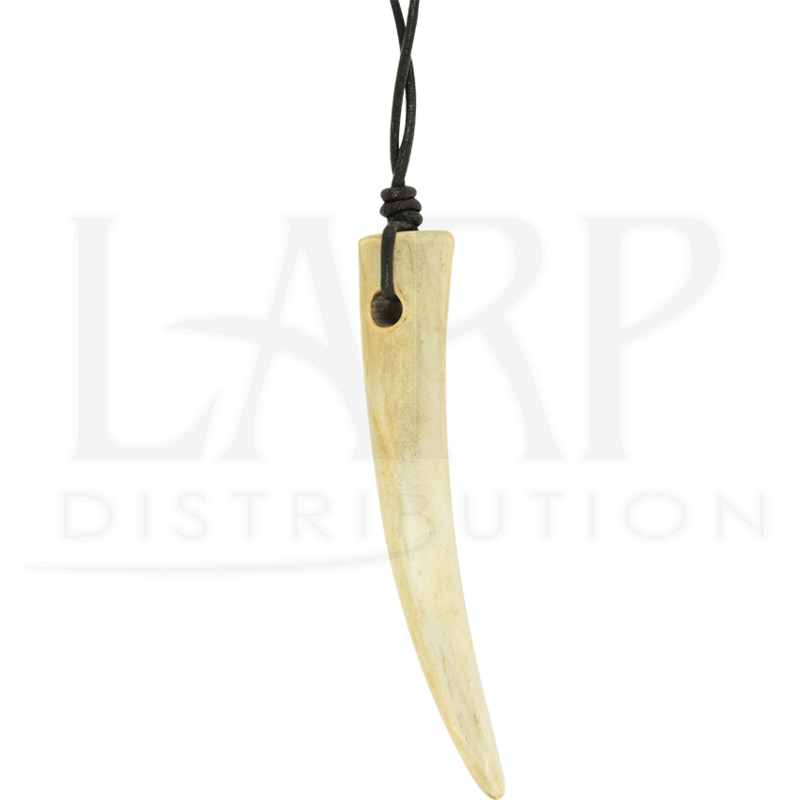 The horn pendant is attached to a sturdy, adjustable leather cord that fits comfortably around the neck. 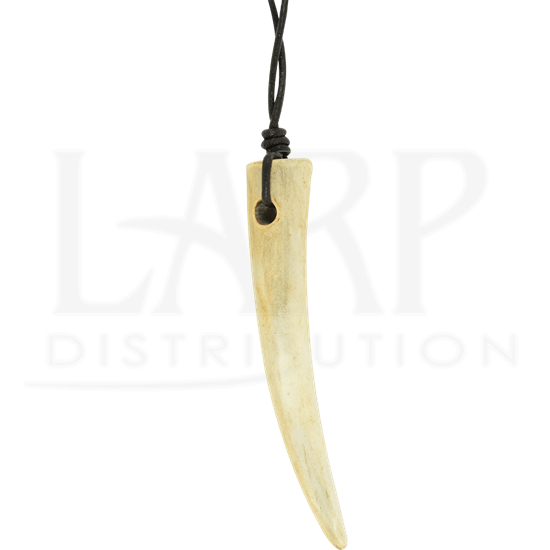 The Horn Necklace with Leather String is just the thing to add a unique touch to your next reenactment, LARP, or cosplay look.